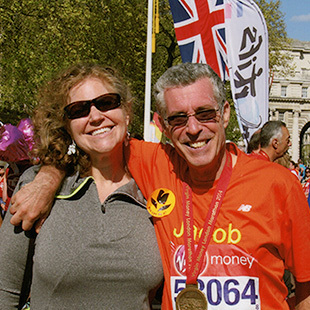 To run and complete even one marathon—a physically and emotionally grueling distance of 42.195km—is a great feat. 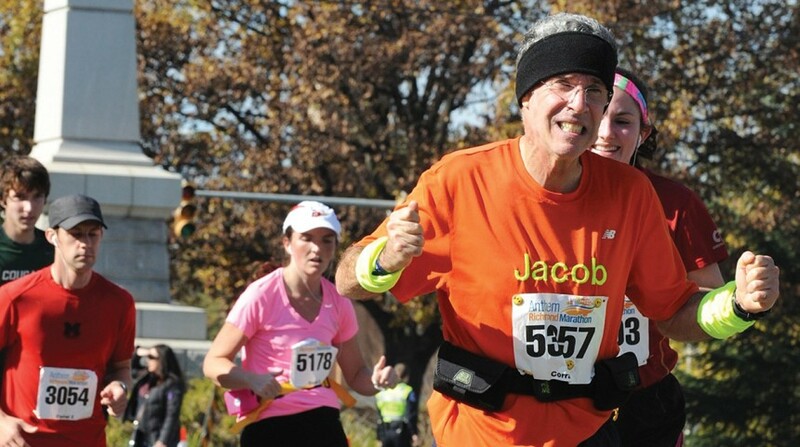 For Jacob Sternfeld, the Tokyo Marathon coming up in February will qualify him to receive a “Six Star Finisher Certificate,” awarded to those who’ve completed the World Marathon Majors of Boston, London, Berlin, Chicago, New York City and Tokyo. So it’s hard to imagine that, not long ago, the now-dedicated runner underwent quadruple bypass surgery. A lifetime of heavy smoking led to a heart attack, an experience that motivated Jacob, who now never skips training—and has even inspired the man who used to sell him cigarettes to quit smoking himself. Jacob’s journey has touched many others, including his family, who have “collectively lost hundreds of pounds of weight.” On witnessing Jacob’s transformation, his wife Andrea says, “I am very proud … and feel like running has transformed him into a person who is focused on his health, on others’ health and on learning about the sport and the body. Those in the area on race day (February 22) can look out for Jacob wearing a shirt with his name written in katakana—and don’t forget to cheer on the countless other runners who have dedicated their time and effort gearing up for the big race.